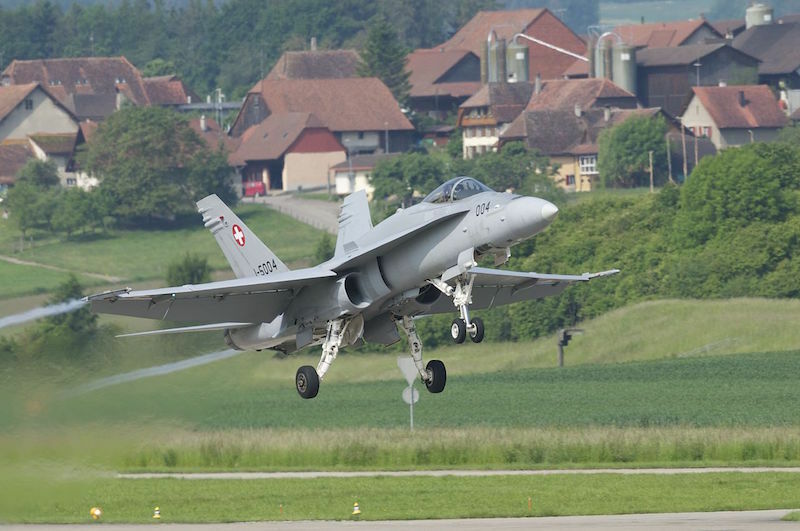 BERN, Switzerland --- As of 1 January 2019, the availability of the air policing service has reached a new phase, by extending these hours from 6 am to 10 pm, 365 days a year, including weekends and public holidays. Round-the-clock availability of the air policing service will be achieved by the end of 2020, when two armed aircraft will be available 24 hours a day, 365 days a year. This latest stage, set to begin on 1 January 2019, will cover more than 90% of the air traffic that passes over Switzerland. The Air Police Service Project 24 (PA24) dates back to a motion submitted by former State Councilor Hans Hess (PRD / OW) in 2009. At the time, he had asked for the extension of the air policing service beyond normal working hours. The PA24 project will ensure the permanent availability of two armed combat aircraft ready to take off in a less than 15 minutes. The first stage was carried out at the beginning of 2016 when, for 50 weeks, two armed planes were ready to intervene on weekdays from 8 am to 6 pm. Since January 2017, availability has been extended to 365 days a year, so also on weekends and holidays, but with the same hours. Starting in 2019, the jets will be ready to intervene between 6 am and 10 pm. These are the hours during which 90% of air traffic passes over Switzerland. At the end of 2020, the Swiss Army will provide coverage 24 hours a day, 365 days a year. The two aircraft are mainly dedicated to "Hot Missions" and "Live Missions". 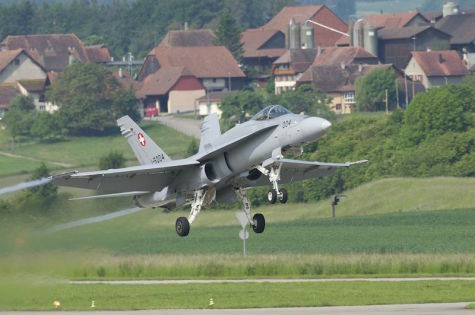 In the first case, these are commitments triggered by the presence of aircraft that violate the sovereignty of Switzerland's airspace or commit serious air traffic violations. "Live Missions", meanwhile, are spot checks of official aircraft belonging to foreign states that, to fly over Switzerland, need a Diplomatic Clearance (Diplomatic Clearance). The main site chosen for the PA24 project is the Payerne Air Base. During the closure of the runway there, the aircraft will operate from Emmen or Meiringen air bases. With PA24, it is expected that, in the future, movements of fighter aircraft, even at supersonic speeds if necessary, may occur outside the usual military flight times. These are measures necessary to guarantee the safety of air traffic and to protect the sovereignty of Swiss airspace 24 hours a day. As PA24 pilots have relatively few night flight training opportunities - compared to international standards - it is necessary to increase their training to be ready at all times for air policing missions. It is for this reason that, from 2019, the alert crews will be able to conduct training flights on Mondays (integrated with the trainings of weekly night flights in winter) as well as on Wednesday evenings.